This week on Valley’s Gold, host Ryan Jacobsen introduces viewers to a San Joaquin Valley Legacy Crop – figs. We start out in Madera with grower Kevin Harman to learn about the many varieties of the fruit produced in our region. Where do figs go after harvest? Mike and Lisa Jura, owners of Fig Garden Packing, take Ryan through the process of processing. Then, Ryan takes a trip back in time through the photos of Pop Laval to watch how visionary J.C. Forkner managed to plant some of the very first trees into the “hog wallow” hardpan ground. Even Henry Ford was impressed! Then we head into the ValleyPBS kitchen with KC Pomering to sample two delectable fig-based recipes. Figs – a true part of our Valley’s Gold. In the mid 1800s, Black and Amber fig cuttings from the California missions brought from Mexico in the early 1700s were thriving at Fort Miller. These trees were producing sweet fruit when the site was covered by Millerton Lake in 1944. Through the 1850s and ’60s, farmers and nurserymen experimented with the fig to develop a strain suited to be commercially grown in the Golden State. In Fresno County, Francis T. Eisen and his brother, Dr. Gustav Eisen, George Roeding, Henry Markarian and J.C. Forkner made contributions to the San Joaquin Valley’s fig industry. 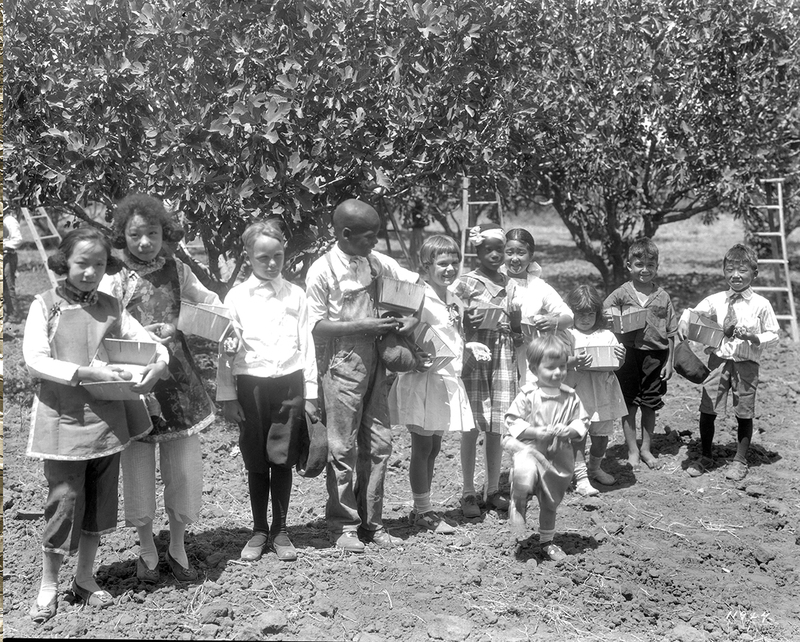 Subsequent experiments with imported caprifigs yielded positive results and, in 1899, the U.S. Department of Agriculture obtained healthy caprifigs from Algiers and sent them to Fresno. After picking his first ripened Smyrna figs in 1900, George Roeding selected the name “Calimyrna” for this prized fruit. Arriving in Fresno County in 1910, Jesse Clayton Forkner had taken options on seemingly worthless land north of Fresno. 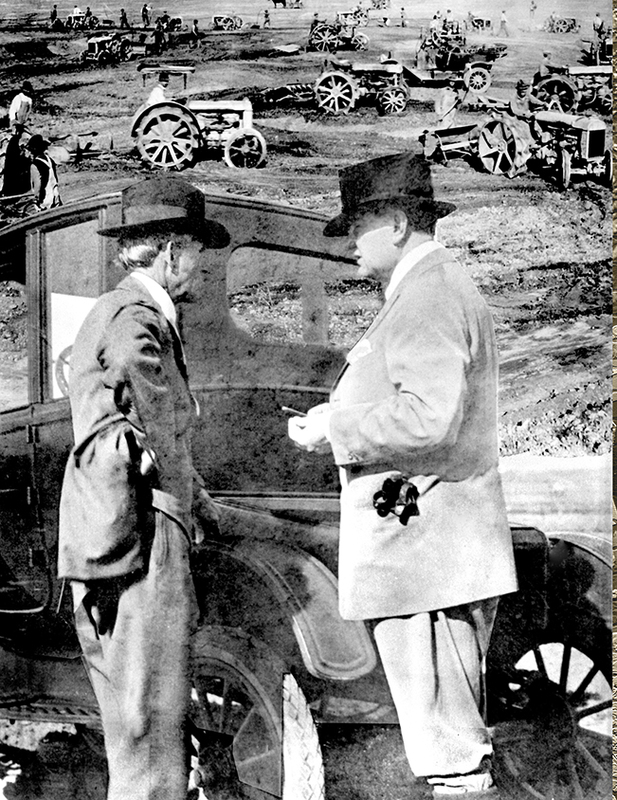 As he was preparing for his orchards, Henry Ford began manufacturing motorized tractors. Forkner purchased forty-eight of the first Fordson tractors to come off the assembly line. 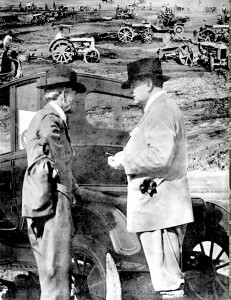 Henry Ford was so impressed that he drove a “Tin Lizzie” Model T coupe from Los Angeles to meet Forkner and tour the project. Forkner’s system of coupling the tractors with Fresno scrapers and discs worked so satisfactorily that soon more than eighty of these rugged machines were used on the Bullard Lands. Two other challenges were addressed – irrigation and the hardpan beneath the topsoil. Twenty-five miles of canals were dug and 250 million charges of dynamite were detonated to blast holes for fig trees. Forkner was told that figs would be the perfect crop to grow in this “hog wallow” land. Over the next few years, Forkner planted and sold over 12,000 acres of figs in ten to forty acre plots. Forkner’s success inspired many ranvhers to level, excavate and blast their way into the fig business. The Fig Garden acreage closest to Fresno was sub-divided by Forkner and his partner, Wylie Giffen, into residential acre or half-acre plots. Over the years, the “Old Figarden” neighborhood has become one of the city’s most desirable addresses.